When our company wanted to convert the Intercontinental Hotel on Central Park South in New York City into luxury residences, I knew who to call first. Within 30 days, Peter was able to secure an application for $110 million worth of financing. The loan included multiple layers of capital representing over 90% of the costs to complete the project. He coordinated multiple parties through the due diligence process in order to ensure a smooth closing. I have worked with Peter and Mike on several other deals as well and their service and dedication are consistently outstanding. 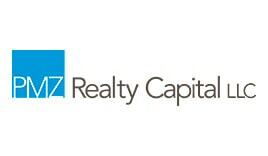 PMZ Realty Capital is my financial intermediary of choice.